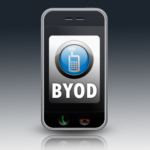 More and more companies are switching to a BYOD (bring your own device) environment. This latest workplace trend is popular among many businesses; however, it may not be appropriate for yours. There are some risks involved and plenty of considerations that will warrant draft upon draft of policies for you to initiate. The following are a few considerations you should keep in mind while contemplating a switch to a BYOD culture. Many companies report a high degree of employee satisfaction when a BYOD culture is in place. Employees often love the idea of working on a device they are familiar with and prefer. 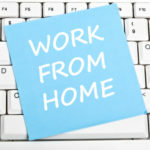 Using their own device for the workplace allows them to work remotely. Employers often witness an increase in employee productivity. Of course, employers also enjoy not having to pay for their employees’ devices. Even so, there are some cons for the BYOD environment that must be addressed before making the switch to allow employees to use their devices at work. What Happens If It Breaks on the Job? If you are formally accepting and encouraging a BYOD environment, you’ll need to address some concerns–inevitably in policy form. What happens when a device breaks while being used on the job? Who will service the device in the workplace when an issue arises? What software should be loaded and will every employee’s device be able to support that software? These are just a few questions you’ll want to answer up front. Some employers actually create committees made up of both employees and management executives to create a sound BYOD policy. You should prepare one, however, before your employs use their personal devices in the workplace for work projects. Another con is the cost of paying for personal communications plans. While you will save on the cost of the device, you will lose on the discounts you sustain when purchasing telecommunications plans in your company name. In the world of BYOD, the employee pays for their plan and presents you the bill for reimbursement. This bill is significantly more per employee than if you purchased an office-wide system. 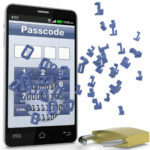 Privacy is a major concern when it comes to the BYOD workplace. For instance, when your employees use their devices to tap into the company network, those devices come under the control of the network administrator; this leaves employers with the ability to track their employees on devices that are not company owned. Consequently, there can be legal ramifications and certainly ethical ones. Once employees understand the privacy risks associated with BYOD (i.e. their employer can collect personal information or view pictures), they become less inclined to participate. A BYOD workplace blurs boundaries that employers and employees, when pressed, may want to keep firmly in place. According to some studies, 82% of employees already fear that their employers track their internet use at the workplace. Few employees, if any, desire that their employer track their internet use when they aren’t at work. This tracking capability makes privacy a very dicey situation for the BYOD office. 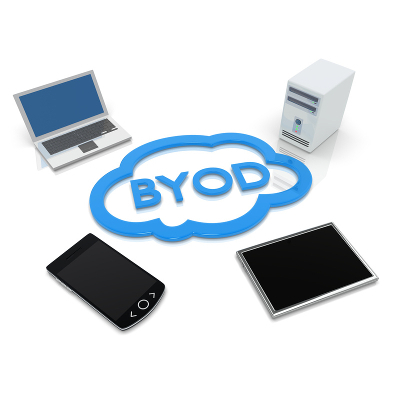 If you want to avoid liabilities and legal battles, the BYOD environment may not be right for your business. On the other hand, you can enact a policy that covers your BYOD plan admirably and with the help of your attorney you can safeguard your policy from most lawsuits. Of course, there will be headaches; when it comes to technology in the workplace there usually are! The key is to talk to other companies that have a BYOD policy in place and find out everything you can before switching to this type of environment. As the boss, it’s your call whether to allow BYOD or not in your office. Before making the decision, be sure to consider the risks on both sides. Quikteks’s IT consulting service can certainly help with this decision. Give us a call today at PHONENUMBER and let us know about your unique needs, so we can suggest the best possible BYOD solution for everyBYODy in your company! 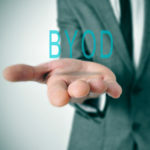 BYOD- Right for Your Business?